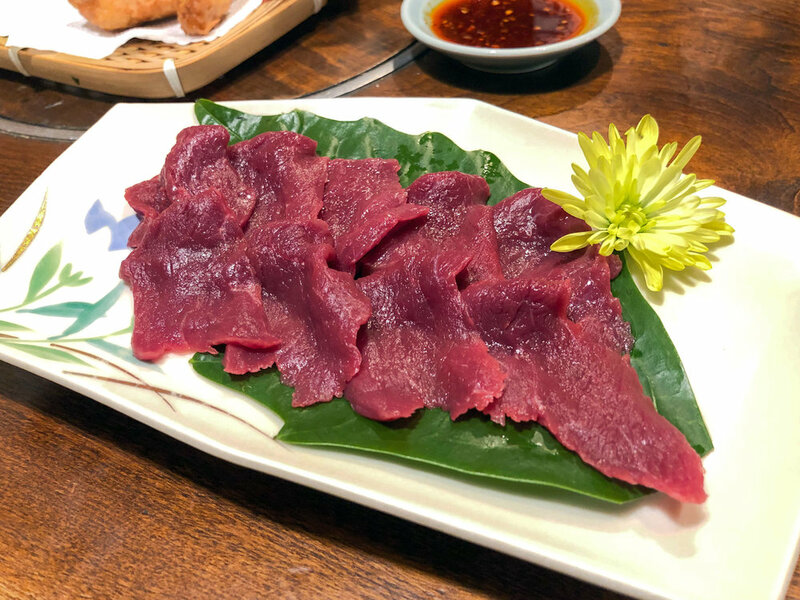 Between Nagano city and the end of the train line at Yudanaka are Nakano city and Obuse, small, local areas most known for their agriculture. Visiting in Nakano wasn’t planned, actually, as we actually ended up in the city due to an unfortunate medical emergency while on a trip around Nagano prefecture. At least they have a capable hospital with good staff in Hokushin Hospital. We had visited Matsumoto city, then had gone to see the snow monkeys in the Yamanouchi area when we ended up having to go to Nakano. I was able to see a little bit of the area. Nakano city and Obuse are in between Nagano and Yudanaka stations. The Nagaden Snow Monkey, express and local trains going towards Yudanaka stop at these stations but the schedule varies. Here’s a timetable. In these areas though, I’d definitely recommend having a car. There weren’t a whole lot of highlights given the reason why I was in the area, but there was one: Picking Fuji apples. 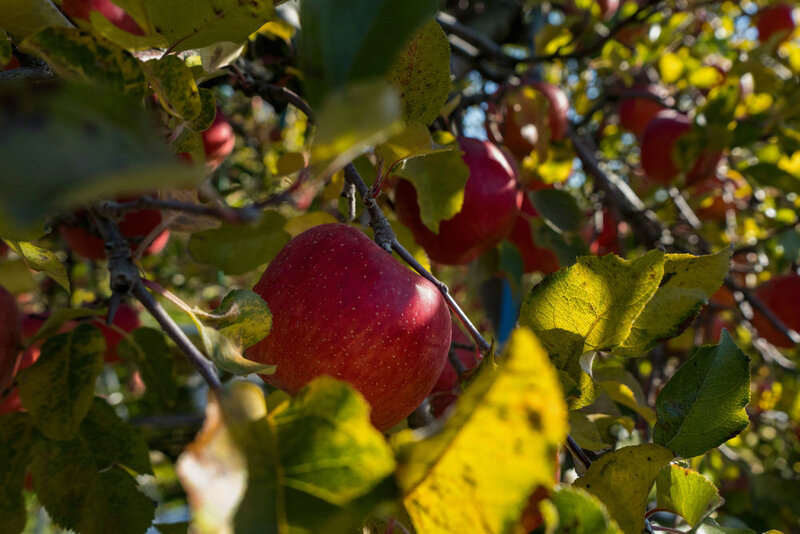 It was my first time picking apples, and the trees at Ono Ringo-en were full of them. Just like how grapes in Koshu, Yamanashi were some of the best I’ve ever had, these Fuji apples we picked in Nakano were some of the juiciest ever. It became hard to eat a regular supermarket apple after. There’s so many on the trees and they have awesome deals. All-you-can-eat while in the orchard, + 1 apple to take to go for 500 yen (less than $5 USD), +3 apples for 900 yen, + a basket for 1,500 yen… and there’s no time limit! You can also buy by weight as well. We stayed at the Route-Inn in Nakano. There wasn’t really any other option but they had a decent public onsen-like bath, breakfast, and really nice reception staff. Across the street was one of the food highlights of the area. A lucky find across the street of our hotel, Daigen was a good alternative to any of the chains nearby. 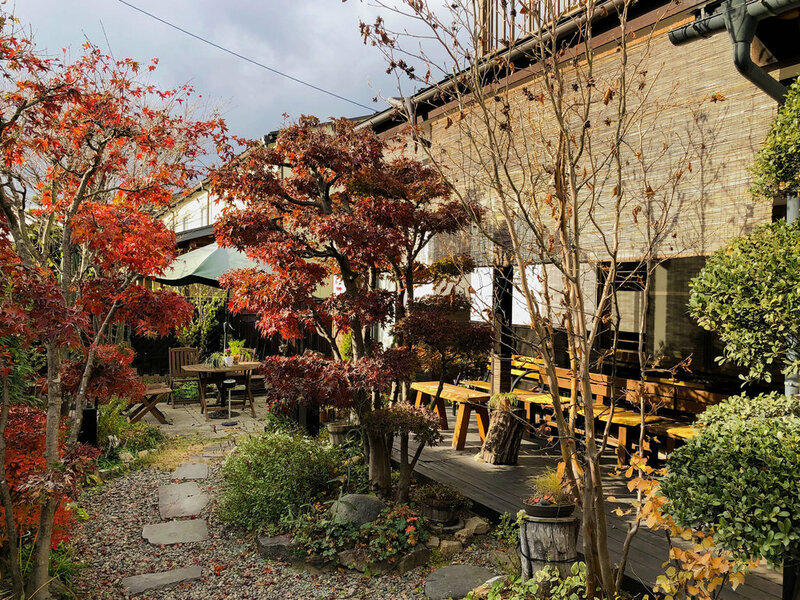 It’s a quirky izakaya run by an older man and woman furnished in random, old items like old wooden skis, a tube TV and something that looked like Japanese rickshaw wheels. They’re fried chicken and spicy sauce stood out to me, and their soba was also pretty good. Conveniently right across the street from the hospital, and near Shinshu Nakano station, was this good soba spot. 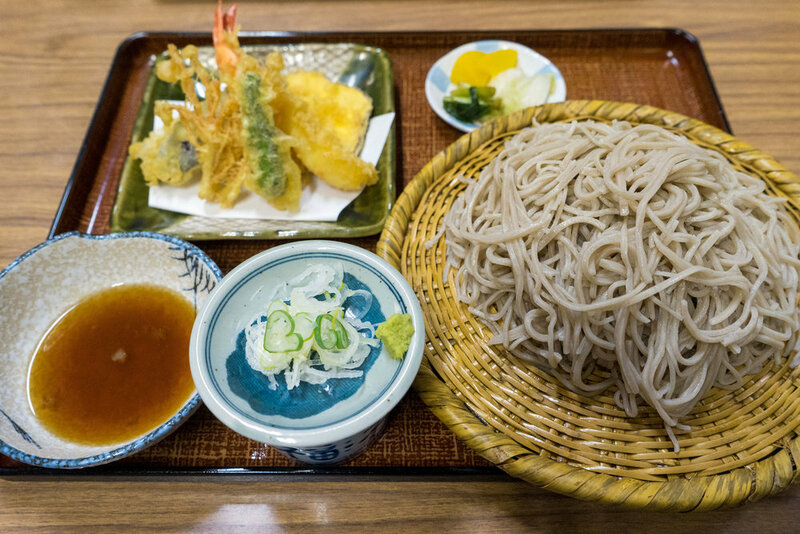 They have a variety of foods to choose from, but their soba combo with their tempura really hit the spot. The soba is nice and firm and their tempura is so light and crispy. Really good quality and very reasonable. This popular soba spot in Obuse is run out of a converted, local house. They’re a part of a local collective of locations that open their outdoor, Japanese garden to tourists for free. They have several different soba sets to order from, including ones made form 100% soba buckwheat flour.